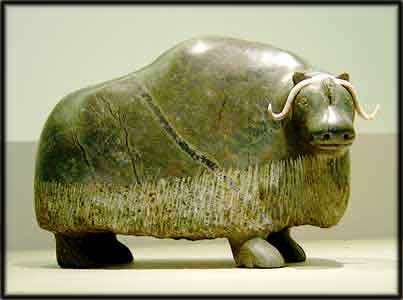 Inuit carvings are at times very expensive, but they are one of Canada’s national treasures. I was introduced to Inuit carvings in a Toronto store. The owner was very knowledgeable. 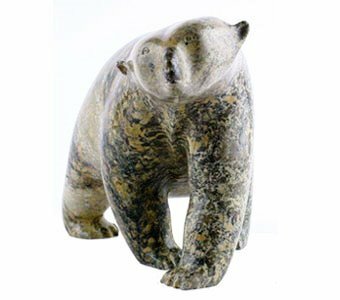 Inuit are celebrated carvers, but Inuit also produce images that are characterized by permanent newness and, at times, humour. They are heirs to Japonisme. I chose the film shown at the top of this post not only because of its subject matter, carvings, but also because it contains a legend reflecting the legend of the mermaid. It has stories. The film was produced in 1958 by director John Fenney who also directed a film about Kenojuak Ashevak, (3 October 1927 – 8 January 2013), an acclaimed artist who worked using several media: carving, drawing, print-making, etc. You may note that Inuit sing often, like voyageurs. They seem a very happy people. Ashevak spoke Inuktitut, the language of Nunavik (Quebec). The National Film Boar/l’Office national du film has a large collection of documentaries on Inuit or the north. I could not find an English-language version of Au pays des jours sans fin. It is a very informative documentary. However, I have just found it: The Land of the Long Day: https://www.nfb.ca/film/land_of_the_long_day. But let us see a few carvings and, in a short video, the art of Kenojuak and colleagues. Kenojuak is the most celebrated Inuit printmaker (stencils or pochoirs). She died in 2003, at the age of 85. Libérer l’image enfermée dans la pierre, c’est une idée qui, chez nous, date au moins de Phidias. Ceci dit les résultats sont absolument splendides ! Reblogged this on ' Ace Friends & Followers News '.